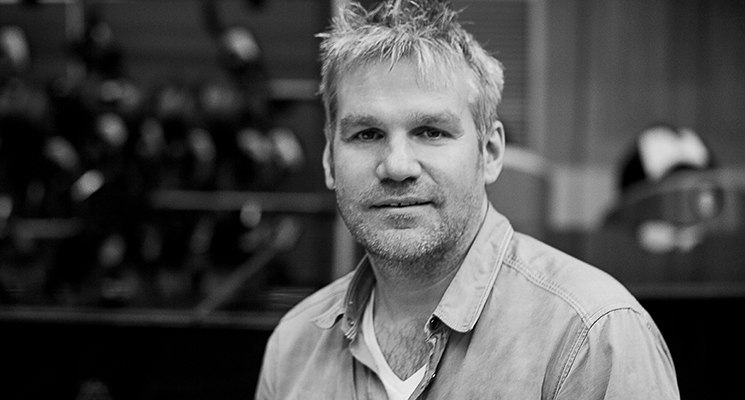 Composer, sound designer, arranger, and orchestrator Chris Warner couples his passion for storytelling with his knowledge of music and sound. 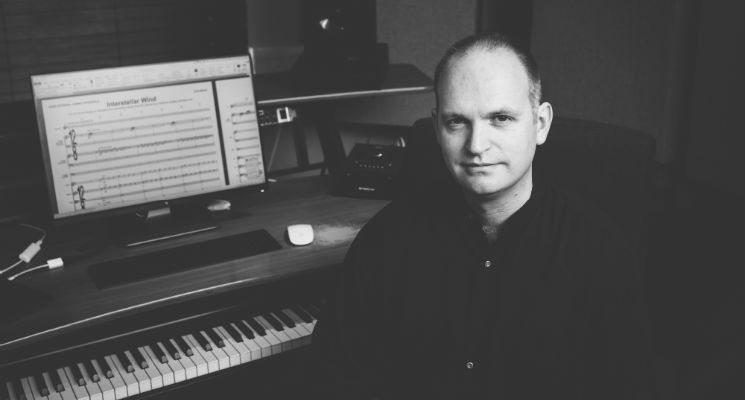 With a rich career history in theatre and film creating original scores, orchestrations and soundtracks for companies such as the Royal Shakespeare Company, and programmes like the BBC's 'Mc Mafia', Chris Warner has earned his status as a master storyteller through the medium of music. 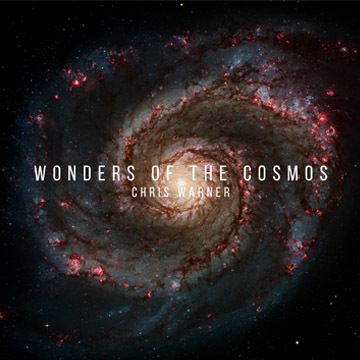 His latest story to tell, 'Wonders of the Cosmos', orchestrates the magnitude of themes surrounding deep-space, planets and the other-dimensional. In order to do so, he went to some epic measures when recording his latest album... find out the full story below. A unique and thrilling aspect of this project was that the organ and soprano were to be recorded on location at Ely Cathedral. The musical landscape for this album was to be drawn over a huge, expansive canvas. 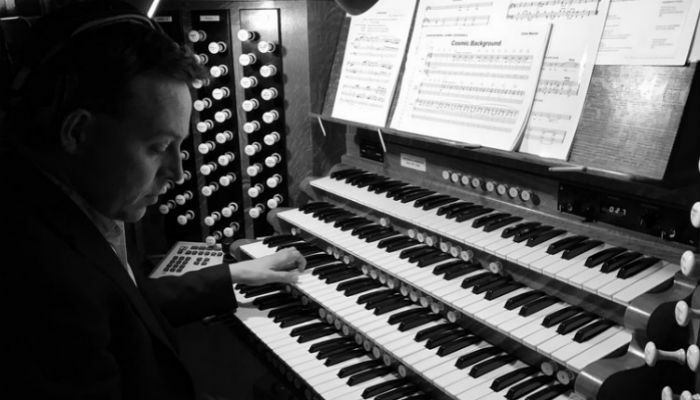 For a start, technically speaking, with a reverberation time in the region of 6 seconds, and an organ whose pipework is dispersed over multiple locations, it was always going to be a challenge making these recordings. My musical challenge was to achieve clarity through the writing and orchestrating whilst retaining plenty of drama, atmosphere and impact. The decisions I made at this stage in the production process informed the eventual sonic landscape of the album. Long, soaring phrases, clear and deep pedal notes, widely scored textures, carefully placed impacts with plenty of space to breathe and decay, these elements went together to form my main compositional palette. Once I’d established these key concepts, it really was time to start getting excited! Did you envision it for a specific medium considering your strong background in theatre, film, media and television? I love the creative freedom that Audio Network give us as composers. They are so supportive of new ideas, no matter how crazy or adventurous they may seem, as this project clearly demonstrates! However, it’s also really important when writing in this field to keep usage in mind and not get so swept up in the creative whirlwind that you lose sight of your audience. Given the subject matter of this album, and its grand themes concerning the Cosmos, Space, the nature of time and matter, I always knew that the music would have a broad, and at times epic cinematic feel and scope. The sheer might and power of the organ at Ely Cathedral, not to mention the huge acoustic of the building, meant that we needed to use a large string orchestra in order to match it in pure volume of sound. We recorded a large string section in Studio 1 at Abbey Road to infuse the album with a cinematic vibe. However, I also made a point of writing more reflective musical passages throughout. With this in mind, I envisage many of the pieces being a good fit for documentaries and dramas. Ultimately though, I hope that the album will be embraced by all kinds of music lovers, and that the natural wonders that have inspired me will in turn inspire others through the music I’ve written. 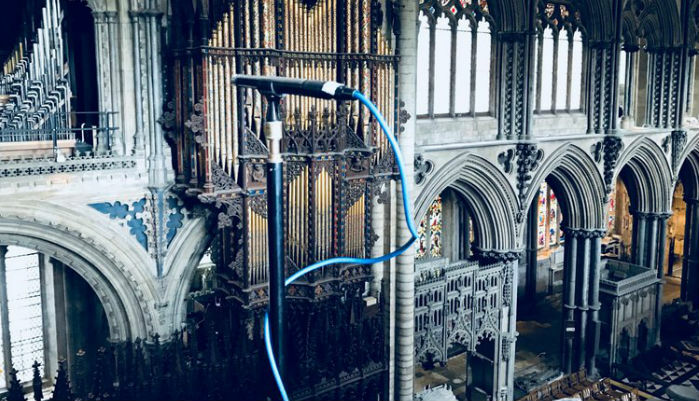 What was it like recording at Ely Cathedral? With Ely as my local town, I am a regular visitor to its cathedral, and I don’t think I’m being overly biased in saying that it’s one of the Country’s finest. Having the opportunity to record here, to work with an organist of the calibre of Edmund Aldhouse, and world-class soprano Grace Davidson, and ultimately to be able to hear my music reverberate around this magnificent building, was a profound and humbling experience. 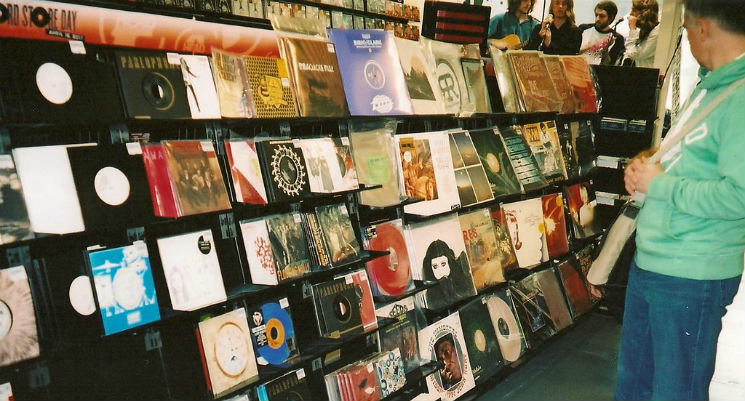 Musically speaking, it also felt like coming home. In my youth I spent six very happy years singing as a Choral Scholar and then a Lay Clerk at Guildford Cathedral. These years spanned my passage from student to professional musician and were so formative to my understanding and development as a performer and composer that much of who I am as a musician I owe to the abundant musical experiences of that time. Ely Cathedral’s phenomenal acoustic and its mighty Harrison & Harrison organ constitute the essential fabric of this album. Most of the pieces that I’ve composed portray features of the Cosmos that are so massive they are almost beyond our comprehension. 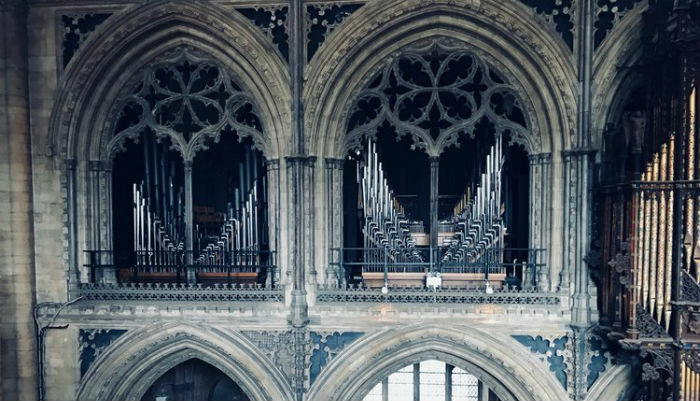 The astonishing tone and power of a cathedral organ can both amaze and move us, and through its sheer mass of sound it can help our imaginations catch a glimpse of these astronomically huge scales. What do you want people to take away from Wonders of the Cosmos? 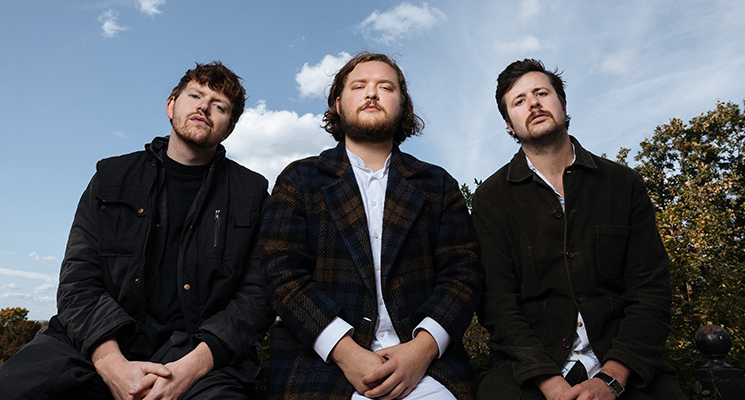 What was your main goal when putting together the album? I think my main goal has always been to take us, the listeners, on an epic journey from the relative familiarity of our nearest celestial neighbors to the almost near obscurity of the outer edge of the observable Universe. So much of our understanding of the Universe, how it works, and how it might have evolved, is the result of a complex web of scientific data generated from images, observations, measurements, maths and empirical research in the fields of physics and chemistry. I’m not attempting to contribute to our scientific understanding of the Universe, instead I hope to put forward an honest, artistic response to its endless mysteries. I chose images and features of the Cosmos that are personal to me, and in putting together this album I hope to inspire others to go out and discover their own special places. The story that emerged for me as I was composing the album was one concerning the inter-connectedness of things. When I contemplate the images and ideas that have inspired this album, I have the strangely reassuring thought that we can learn a lot about ourselves by observing phenomena that are millions of light years away. By remembering that we are all part of the same finely tuned Universe, maybe we can learn to work better with Nature, and our own natures, rather than against them. That is a story that I think is worth telling, and music is one of the best storytellers. What is the most important thing for you when creating new music? Discovering something behind the notes that I can hold on to. Whenever I start a new project, whether in the theatre, media, or for the concert stage, I tend to pursue a policy of total immersion in the subject matter. One thing I love about working in theatre is that at the pre-production stage you often get shown mood boards resplendent with images and model box mock-ups of set designs, all of which help to locate you in a particular design world or aesthetic. I also love to dive into a good related novel, especially historical ones, plus films and documentaries, any stimulus in which I can lose myself. In situations where there is no particular subject matter, brief, or stimulus behind a project, I simply create my own. ‘Wonders of the Cosmos’ is a great example of this process of immersion, but over a long time scale. I’ve always had an interest in astronomy and cosmology, and I’m a regular attender at several local astronomy clubs. The grand narrative ideas and themes I’ve explored in this collection of pieces are ones that I’ve been reading and thinking about, not to mention trying to understand, for many years. Here is another reason why the writing process for this album was so joyous. Not only was I given the opportunity to make music depicting a world that’s been an important part of my life for many years, but I was allowed to make it with some of the World’s best performers, and in the some of the World’s most celebrated buildings and recording studios. I’m still smiling about it!